The best and beautiful mouse pad and is approved by the largest computer firms and used by their staff. IRANIAN carpet with more than 2500 years age shows magnificence, beauty and culture. 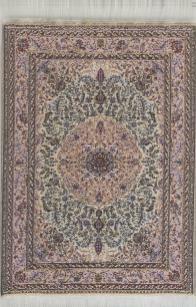 The middle east people (IRAN, TURKEY, KASHMIR and …) were the first carpet weavers of the ancient civilization. To trace the creativity and ingenuity of the carpet is to follow a path of cultural growth of one of the greatest civilizations of the world has ever known. Now this world of designs and colors is before your eyes: Mouse Carpet! Nochmal: Es geht immer noch “nur” um ein Mouse-Pad. Wenn auch ein besonders schönes mit gewebter Oberfläche.